ISLAMABAD A waterborne parasite commonly known as "brain-eating amoeba" has killed 10 people in Pakistan's largest city, a Pakistani official with the World Health Organization said Tuesday. 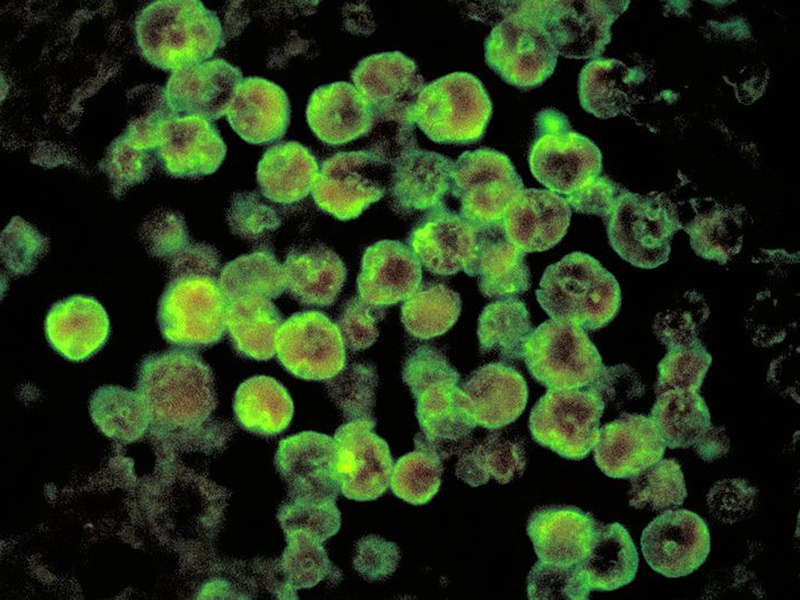 The amoeba  Naegleria fowleri  lives in warm, unclean water. It can infect the human nervous system, though this occurs rarely. In those cases it is difficult to treat and can lead to death in about a week. Musa Khan, in charge of WHO's Disease Early Warning System in Pakistan, said the deaths were reported in the city of Karachi from March to September. He said municipal authorities launched a campaign in the area to ensure the supply of clean water to residents. Health officials are carrying out a public awareness campaign to educate and guide people and doctors across Karachi about the disease, he said. Other parts of Pakistan have also been alerted but so far no cases have been reported elsewhere, Khan said. "There is no need to panic over these deaths," he stressed. "There is a remote chance for the spread of this deadly disease." He said people don't usually get the brain-affecting form of the disease by drinking water, but by swimming in dirty water or cleaning their nostrils with contaminated water. From the nostrils, the parasite travels to the brain where it destroys tissue. Symptoms include fever, nausea, vomiting, stiff neck and headaches. The disease has killed people in other countries as well. A U.S. man who was teaching his daughter to swim in a southwestern Indiana lake died in September, within weeks after getting the infection, according to his family. Waylon Abel, 30, went to a hospital with headache, nausea, vomiting and fever. He was given antibiotics and returned 12 hours later, when he was diagnosed with bacterial meningitis. In July, a South Carolina boy also died from this rare brain infection, according to U.S. health officials. According to the Centers for Disease Control and Prevention, 32 infections were reported in the U.S from 2002 to 2011. Only one person has survived out of 123 known U.S. cases from 1962 to 2011.